With the recent warning from the United Nations Intergovernmental Panel on Climate Change that we have just over a decade to limit global warming comes our window of opportunity to act now. Nature will play a critical role in our actions by providing a two-for-one solution to reduce the impacts of rapid climate change. The places we protect and restore both store carbon and help people and nature adapt to our changing climate. Nature has been storing carbon for a very long time. The fossil fuels that we burn today are examples of carbon that was stored by ancient forests, wetlands and oceans. Protecting and restoring these habitats ensures that nature continues to absorb excess carbon from the atmosphere. A recent study published in the Proceedings of the National Academy of Science found that nature conservation could provide over one-third of the emission reductions needed to help keep the average global temperature from increasing by two degrees. Nature conservation is important in helping wildlife and people adapt to some of the changes that we are already experiencing as a result of climate change. Wetlands, forests and grasslands provide a buffer from extreme weather events, such as floods, droughts and rising sea levels. Intact, connected natural habitats will also help some species shift their ranges in response to climate change. Across Canada, the Nature Conservancy of Canada (NCC) is protecting and restoring some of Canada’s most important natural places. These projects are critical to protecting our wild spaces and wildlife. They are also instrumental in reducing the amount of carbon in the atmosphere and helping communities better cope with the impacts of climate change. 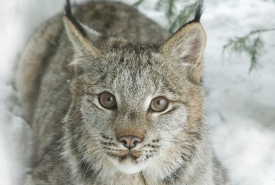 NCC’s Darkwoods project is not just Canada’s largest private conservation project and a key link in North America’s Rocky Mountain wildlife corridor. It also stores a vast amount of carbon. 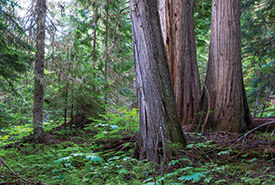 NCC has been raising funds for conservation by registering and selling certified carbon credits from this property to help organizations offset their greenhouse gas emissions. Wildlife corridors help species and habitats shift in response to our changing climate. With funds from by the Province of Quebec’s Fonds vert, NCC and partners are working to provide information to local residents and safeguard these corridors. 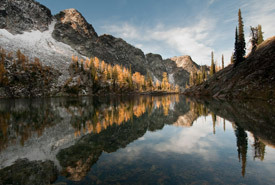 Nature conservation planning needs to incorporate the impacts of climate change, such as extreme weather events, flooding and changing temperatures. 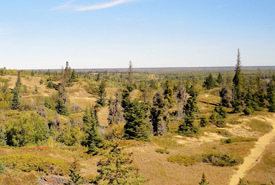 In Manitoba, NCC is updating several Natural Area Conservation Plans to ensure that climate change is incorporated in our conservation plans and actions. Wetlands are a key habitat for many species of wildlife. They also play an important role in filtering water, absorbing floodwaters and storing carbon. 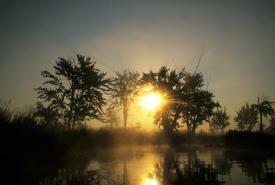 NCC and our partners have protected over 13,500 acres (5,500 hectares) in the Minesing Wetlands. These natural lands are helping to protect nature and buffer downstream communities from the increasing frequency of severe weather events resulting from climate change. Protecting and restoring coastal habitats are a key strategy to help buffer communities from rising sea levels and storm surges as a result of climate change. 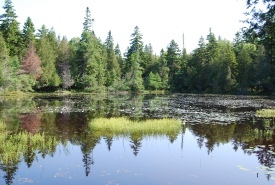 NCC has conserved coastal habitats in all four Atlantic provinces. These not only protect important habitats for migratory birds and other species, they also provide valuable coastal protection.